We all know about many good things about living in L.A. and the surrounding areas. Sunshine, climate, beach, bla bla bla Disneyland, bla bla bla entertainment industry, etc.. Here are a few of my personal best things about living here. Yes, they're totally random. Yes, a personal worst of L.A. is coming soon too. 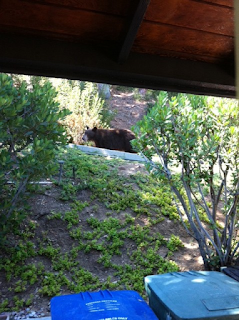 - There's lots of wildlife in the city due to the Santa Monica Mountains. Not everybody is crazy about that, I know; but it reminds me of how grounded in nature we are. The pic above is of a bear strolling up the driveway at one of my listings a few years ago. - Vanowen and Chandler Blvd. are usually light on traffic and they're a great way to get across the San Fernando Valley. Now that I've told you I'll have to kill you. - Lots of places for cheap massages, as long as you are willing to keep your clothes on and forego the happy ending. Look for the signs that say "foot massage." 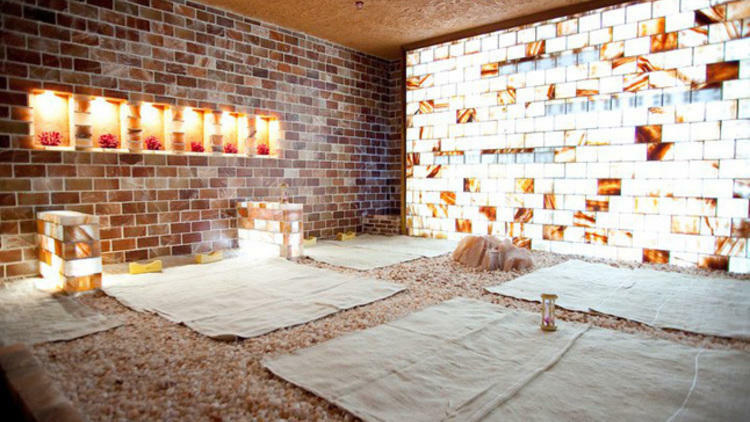 - Korean day spas. 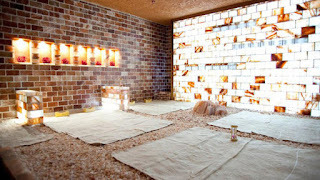 You can stay all day and enjoy salt scrubs, massages, steam rooms, jade rooms, etc. I dare you to channel your inner child and jump into the cold plunge pool. While we are on the subject of things in Koreatown, the whole area smells really good on weekend nights thanks to the many restaurants. - Esotouric tours. These folks will take you to secret places with lots of L.A. history. They have the Black Dahlia tour, the Blood and Dumplings tour, etc. It's a fun way to spend a day in parts of L.A. that you've never been to before. 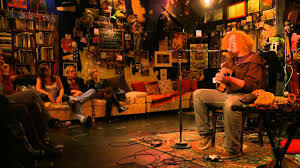 - Kulak's Woodshed in Studio City. This tiny spot is a listening room that hosts any musician that wants to sign up for a 5 minute gig on certain evenings. They usually go through about 40 people a night. There is a surprising amount of talent there, too. No booze, just soft drinks for sale, and it gets wildly crowded the minute the doors open. 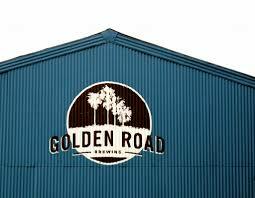 - Golden Road Brewery in Atwater/Glendale. If you haven't been here, it's a huge beer garden/hall/brewery crafted out of three train sheds by the railroad tracks. It serves food, and has a great beer selection including their own stuff. 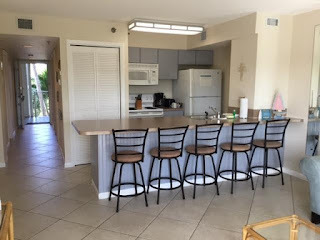 It's family and pet friendly, too. Yes, it's almost always packed. Please feel free to comment with your own semi-secret faves.